Many people desire to follow the path that leads to God. But without a guide or the right supplies for the journey, we risk losing our way. 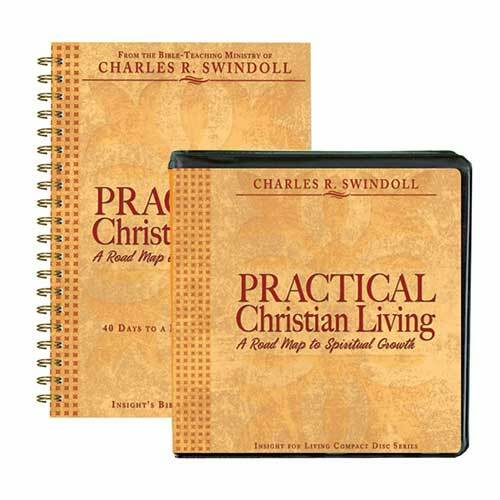 Practical Christian Living: A Road Map to Spiritual Growth guides you through ten essentials that every believer needs for the Christian journey. Whether you’d like tips on how to study the Bible, encouragement about the role of prayer in your life, or assurance of your salvation, this series offers practical instruction straight from the Scriptures to point you in the right direction along your journey. How Can I Begin the Christian Life? Is the Spirit’s Filling That Big a Deal? The Church: Who Needs It? Copyright © 1982, 1985, 1992, 1994, 2000, 2004, 2005, ℗ 2008 by Charles R. Swindoll, Inc. All rights are reserved worldwide.